Some months are more busy that others and tend to book quickly. 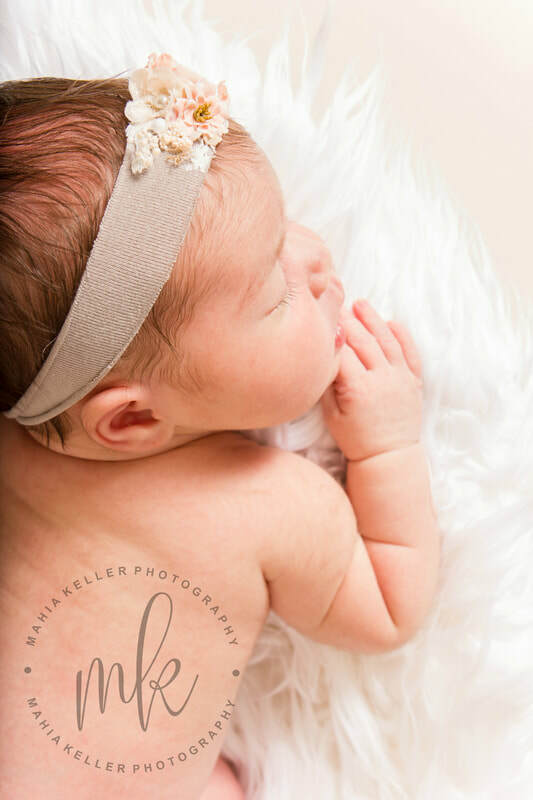 As soon as you know you want newborn photos done, preferably while you are pregnant, please contact me Once you have decided to schedule your session with me, I will get you a contract and collect your deposit to get you a tentative date on my calendar. I understand that babies hardly ever arrive when they are expected and I will absolutely accommodate their own plans. Your due date will give me an idea of when to expect his/her arrival though. As soon as your infant is born, please get in touch with me within the first day or two. You can either call, text, email or Facebook message me. 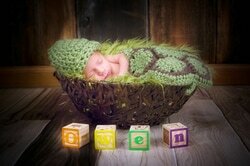 I prefer to photograph babies in their first 10 days of life. 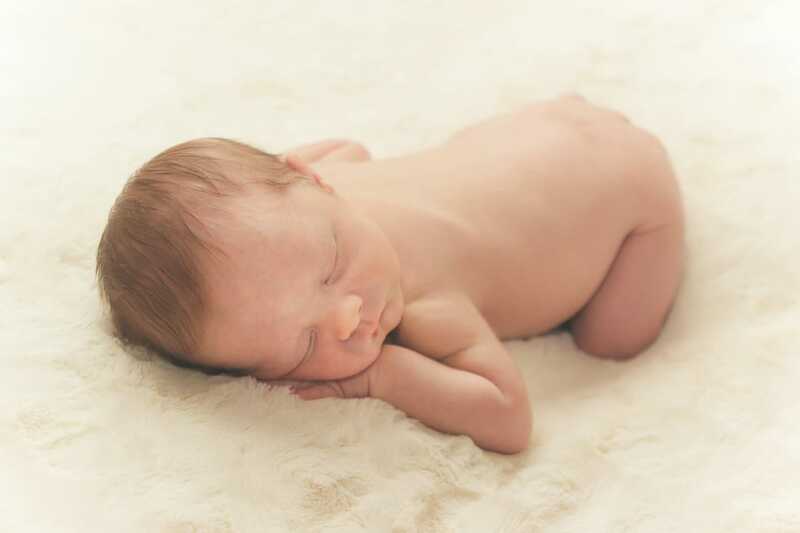 They sleep better, are much easier to pose, and usually haven’t developed baby acne or cradle cap. 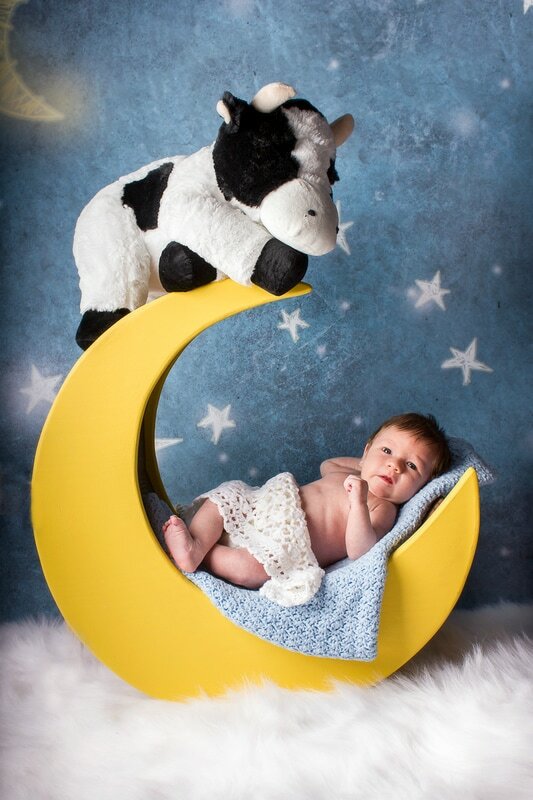 When you book your session we will discuss what images you may want and talk about any props you may want to use. 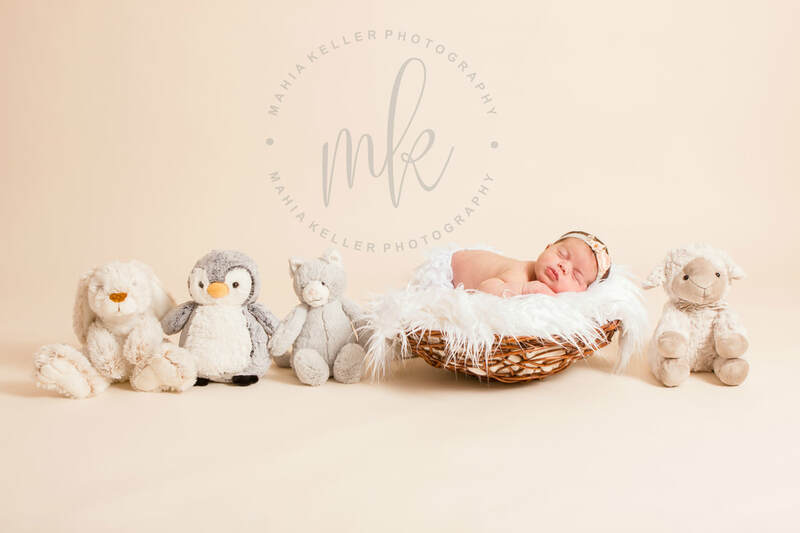 I shoot all my newborn shoots in my residential studio, but if you are wanting a more lifestyle type session and no "posed" shots with props, I will come to your home. I just had a baby and haven't had any time to clean! That’s ok, I've had small kids, and now teenagers which can be even worse :) I know what it’s like. For lifestyle sessions, I just ask that any area you want to use be clear of any clutter. 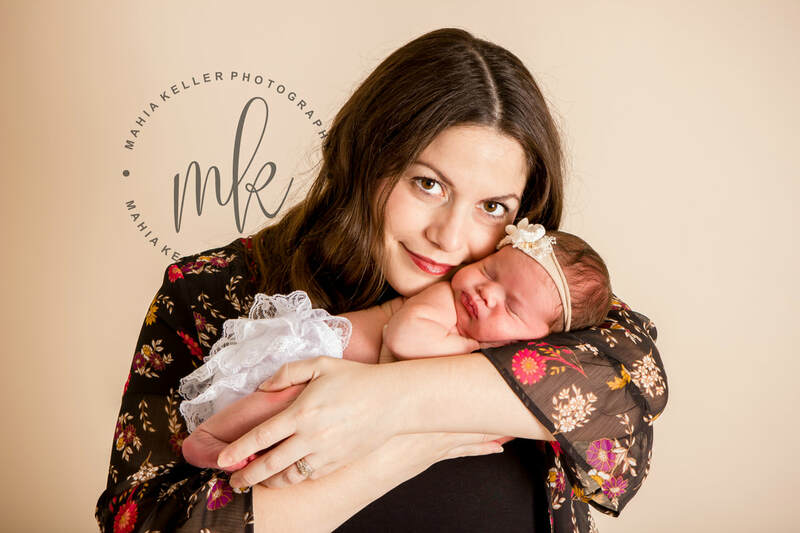 Being a new mom, will I have to do anything during the session? Safety is my number one priority when it comes to baby and that requires hands on or near baby at all times. 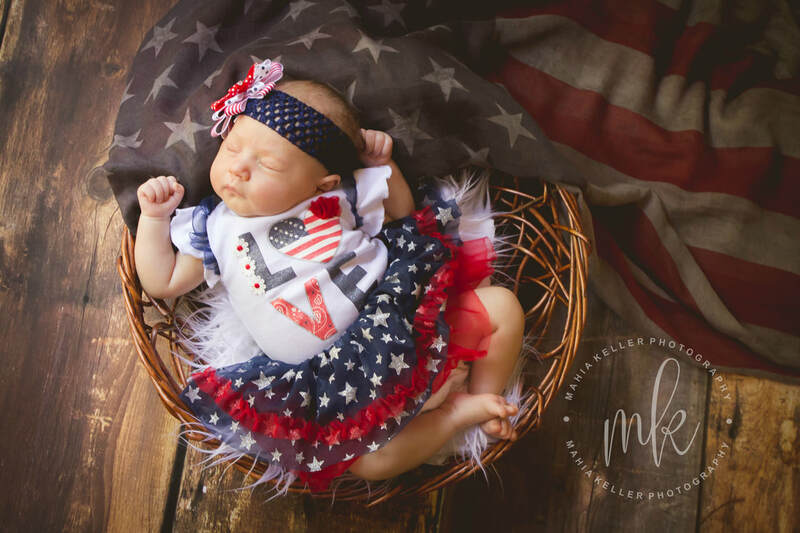 I usually have an assistant with me to help with this, but if that's not possible and you are unable to due to your delivery, I highly recommend having another family member or friend available for the shoot. 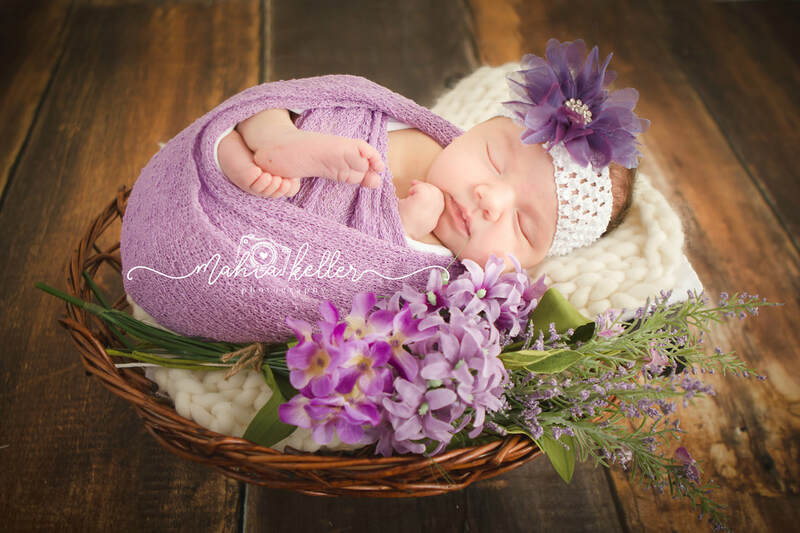 I would set aside a minimum of 2 hours for a good newborn session, but newborns are very unpredictable and may take much longer. Diaper changes, mess clean ups and feedings are going to happen throughout the session and if they didn't, I would think something were wrong :) A good way to cut down on your session time is to follow some of the tips below. 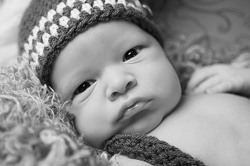 I turn my studio heat way up and sometimes even use portable heaters if need be to keep baby comfortable. 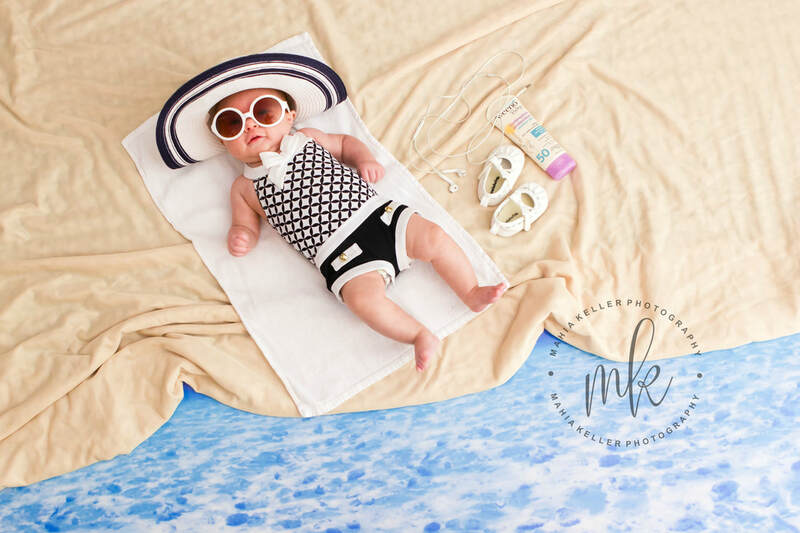 We may be uncomfortable and sweating, but baby will be very happy and it will reduce uneven skin tones in your images. Keeping this mind, try to dress yourself in less or in layers. 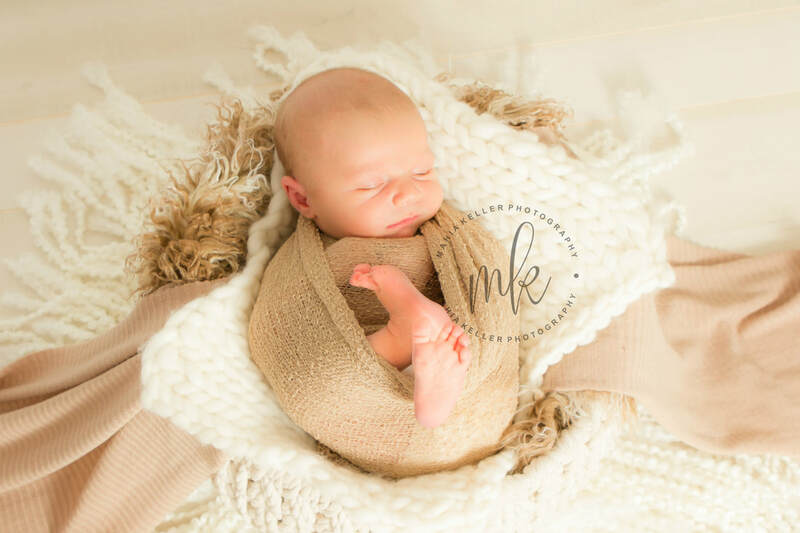 With quiet, non chaotic surroundings , the session will go much smoother; Keeping people at a minimum during our session will make things less distracting for baby as well as photographer. I like to use a baby sounds soother that has heartbeat, shhhh sound, etc that works well for fussy babies. A lot of poses are done when baby is full and sleepy. 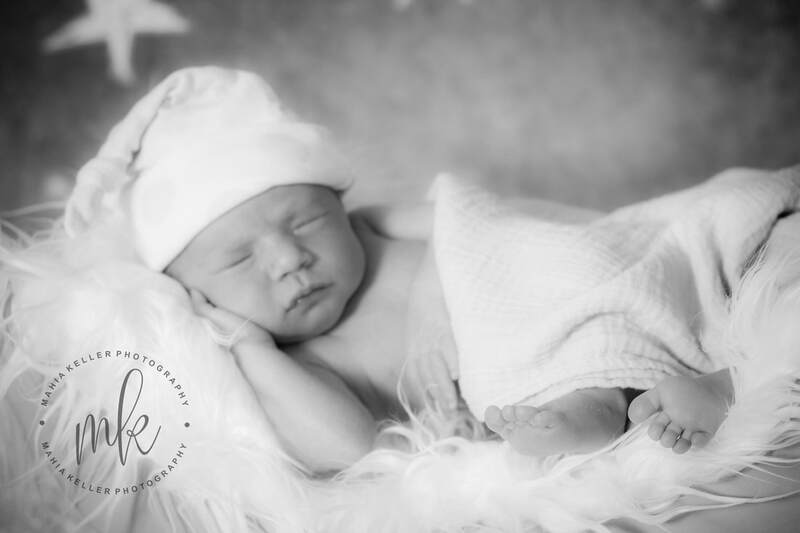 Try your best to plan your session so that your baby has a full tummy and is super sleepy. I have found that once you arrive at my studio for your session, a feeding take place right away and before we start. Breaks will be needed and expected throughout the session to change "scenes" so please do not hesitate to stop the session to feed your baby as needed. To make transitions best on baby, we will try to have him/her undressed with a loose diaper for about 10-20 minutes prior to the start of our session. This will be a good time for that pre session feeding. To keep baby warm, I recommend a receiving blanket or a zip sleeping set as this will be easier to take off than a onesie. This will ensure no marks and lines will show up on baby from their clothing. I strongly encourage you to have any special accessories you may want to use throughout the session. You may not care for what I provide and I might fall in love with something you have! 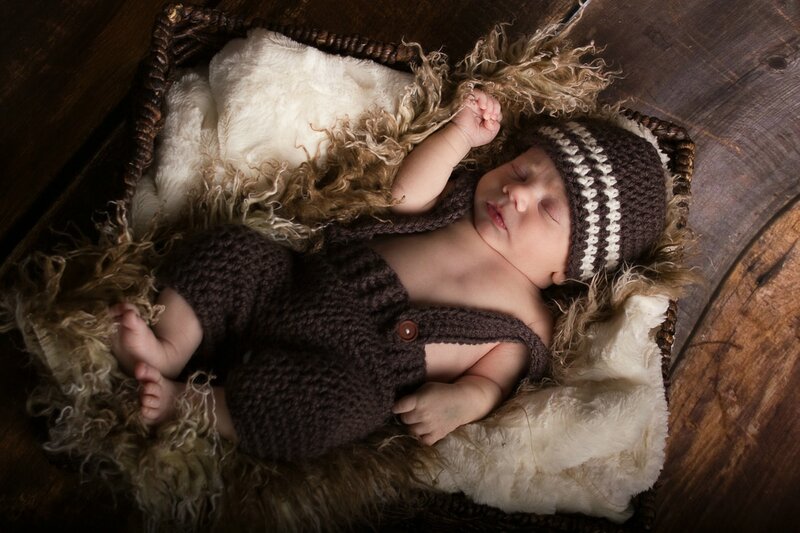 So not only will your additions give us more to choose from, but they will be unique to your baby’s photos. 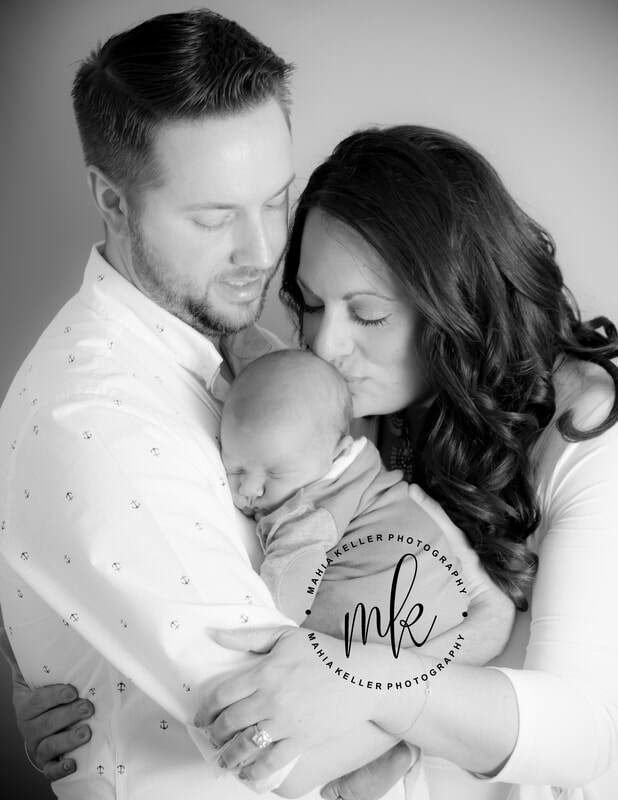 My newborn sessions usually consist only of baby, however, a few images with parents and siblings are always welcomed, but are not family sessions. Please remember that younger siblings may not always be welcome of a new baby to the family and may not be cooperative. Solid colors such as white, cream, brown, grey and black with splashes of other colors are just a few options as far as color choices; avoid bright or bold colors and patterns. Within a few days I will have a preview image from your session. I will post this preview on my Facebook page ( https:www.facebook.com/MahiaKellerPhotography) and I can also email/text the preview image to you as well with your request. I will edit a minimum of 10 images. If baby was super sleepy and I ended up with more shots then you may have even more images to look through! Within 1 week to 2 weeks, your images will be available online in your password protected gallery for proofing. Your gallery will be available online for 14 days. You have within this time to make any purchases. After the 14 days is up the gallery will be removed. Feel free to send the link to friends and family so they too can have your precious child’s pictures at their fingertips. Servicing West Lafayette, IN and the surrounding area.